While planning a trip, an advance booking for accommodation is advisable. For all types of accommodation booking solutions, come to Sri Bala Ganesh Tour and Travels. We provide hotel-booking services for 5 star hotels, 3 star hotels, 2 star hotels, guest house, luxury resorts, and motels. 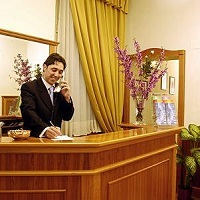 We ensure that the hotel room, we select for you, is equipped with all the essential amenities. Moreover, we will ensure that the hotel tariffs will not exceed your budget. Contact us for the best deals in hotels across Andaman. We are based in Junglig Ghat (Port Blair, Andaman and Nicobar Islands).